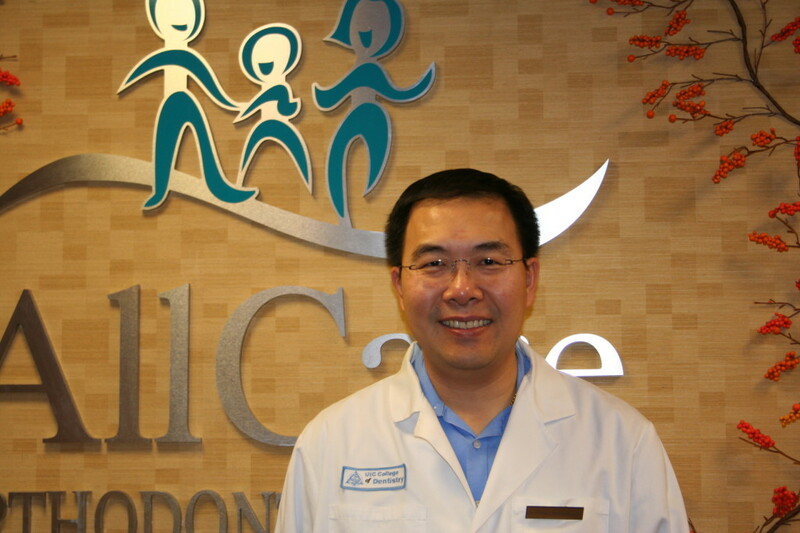 Dr. Phimon Atsawasuwan is a known researcher and specializing in both orthodontics as well as periodontics. He is an assistant professor at the Department of Orthodontics, University of Illinois at Chicago. He is very active with cutting edge education, knowledge and techniques in the research and clinical aspects of orthodontics. He was recognized by the AAO as one of the recipients of prestigious Thomas M. Graber Award of Special Merit. Both Drs. Galang and Atsawasuwan were actually students of Dr. Kusnoto during their orthodontic residency and now, they enjoy working together as colleagues in providing the best orthodontic care for their patients. Dr. Atsawasuwan completed his three-year residency in Orthodontics and obtained Master of Sciences in Oral Sciences from University of Illinois at Chicago in May 2011 and is a diplomate of the American Board of Orthodontics. He is an active member of the American Association of Orthodontists, the Midwest Society of Orthodontist, the Illinois Society of Orthodontists and the American Dental Association. Currently he is a president of American Association of Dental Research, Chicago section. He is an assistant professor at University of Illinois at Chicago where he stays active in current and cutting edge knowledge and techniques in Orthodontics and supervises the residents of the Orthodontic Specialty Program. Previous to coming to University of Illinois, Dr. Atsawasuwan finished his Master of Sciences in Periodontology from University College London, United Kingdom, and Mahidol University, Thailand as well as earned a Ph.D. in Oral Biology and postdoctoral fellowship from University of North Carolina at Chapel Hill. Right after graduation from UIC, he was given national recognition by the American Association of Orthodontists when he received the Thomas M Graber award of Special Merit and Thomas M Graber Teaching Fellowship. Dr. Atsawasuwan’s major area of interest is in research of acceleration of orthodontic treatment and interdisciplinary approaches for orthodontic treatment. He has published his works in many peer-reviewed scientific journals such as the Journal of Dental Research, the Journal of Biological Chemistry, PLoS One, Bone, and the Journal of Periodontology. He is also a reviewer of several peer-reviewed journals such as Progress in Orthodontics, Cell and Tissue Research, European Journal of Oral Sciences and International Journal of Oral Research. He gave several presentations at numerous international scientific meetings such as International Association of Dental Research meetings, American Association of Orthodontists annual meetings and International conference of Craniofacial Research. Dr. Atsawasuwan is a native of Bangkok, Thailand. He enjoys spending time with his friends, cooking, traveling, movies and outdoors activities. Dr. Atsawasuwan believes in a strong family foundation and values. He joins Dr. Kusnoto and Allcare Orthodontic Center team as he has the same goal to provide the highest level of orthodontic care and create beautiful smiles for patients with caring and friendly atmosphere.